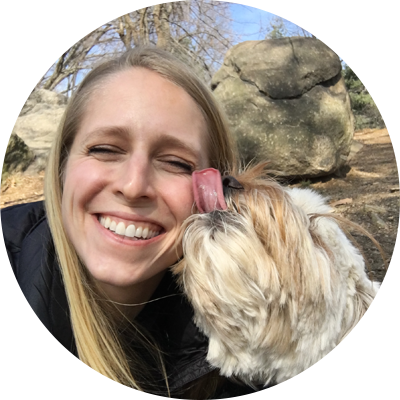 Kelly Fox is a CPDT-KA certified dog trainer, with over 8 years of experience handling pups in NYC from basic skills and agility to aggression/reactivity, doorbell barking, guarding, and more. As a member of the Association of Professional Dog Trainers, she believes in using reward based positive reinforcement training in order to help owners build a working relationship with their dog that is fun. As a professional trainer and animal specialist, Kelly is also a Broadway animal trainer focusing on animal theatrics and behavior skills. Her most recent Broadway performances include Of Mice and Men, You Can't Take It With You, and The Curious Incident of the Dog in the Night. She also uses her skills to train and work with her own cat Etta, who has performed in several national commercials for MTV2 and Clorox Bleach. The Certification Council for Professional Dog Trainers (CCPDT) is the industry leading organization for cerficiation of dog training professionals. The CCPDT develops rigorous exams to demonstrate mastery of humane, science-based dog training practices. Certified Professional Dog Trainer-Knowledge Assessed (CPDT-KA) measures a broad range of knowledge and skills in ethology, learning theory, dog training technique, and instruction. To be eligible for the examination, you have to have a minimum of 300 hours’ experience in dog training within the last 3 year.